During my first year at Georgia State, I enjoyed having a meal plan from Monday – Sunday for both fall and spring semesters. However, it came at a very high price along with tuition that made me take a loan to cover the cost. Currently, in my sophomore year, I have chosen the option to buy groceries. I wanted to practice cooking and thought that buying groceries would be cheaper. The first few weeks of buying groceries this semester was great. I was able to get the foods that I enjoyed eating, and cooking became easier for me. Then the cost started adding up; I got tired of cooking every night and tired of washing dishes. I miss being able to have a nice, hot meal waiting for me when I was finished with class, and sit and with friends. Now, I have to go home and cook for each meal of the day, which could take too long sometimes and always worry about the next time I was paid to purchase food. I had taken on a huge adult-like task that I had never been used to which was having to pay some bill, and although my mother helped me most of the time, it still became a burden. However, it has taught me many budgeting techniques when it comes to buying groceries. 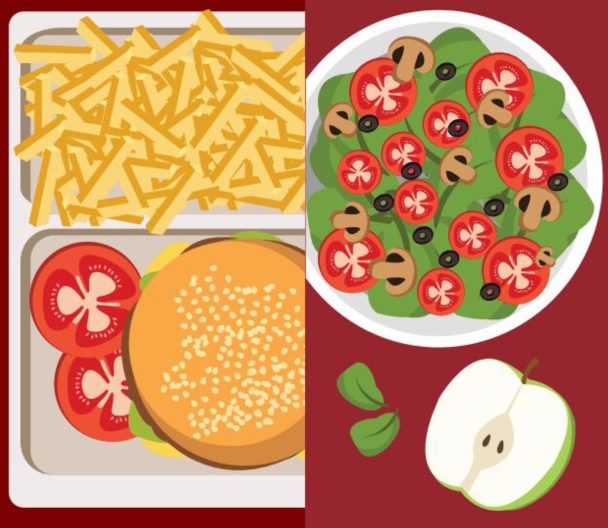 Here are some tips for those either on a meal plan or buying groceries to keep in mind. Tip 1: Eat all you can eat! The dining hall offers many food options available to students throughout the day. Take advantage of this! Throughout the day, college students usually are busy and do not have as much time to eat due to class, work, or other obligations. While you are in the dining hall make sure that you do not leave until your stomach is full, and you are ready to conquer the rest of your day! If you want to live a fit and healthier lifestyle, the dining halls give you that option. In the grocery stores, healthy foods are very expensive and do not give people that may not have the financial necessities to purchase foods for a healthier lifestyle. Tip 3: Save money for the Meal Plan! There is no doubt that meal plans aren’t expensive. A meal plan along with other college expenses can add up. You should think about saving up money to get a meal plan rather than taking out a loan. Tip 1: Start a Budget! Grocery shopping is easier when you make a budget for yourself. Budgeting allows for you to make an estimate of income for a set period. Tip 2: Spread out your shopping to every two weeks! You should try and spread out your shopping to every two weeks rather than every week so that you can save more money on groceries. The average person also gets paid every two weeks. This allows for you to know that you have money available rather than spending what you don’t have. Tip 3: Only buy the things that you need! A lot of college students get excited about buying snacks at the grocery store since we have limited time on our hands, and snacking is the new “meal.” Only buying the things that you need allows for you to save money again. This semester has been a lesson well learned. Some people have a different lifestyle, and my decision of going back to getting a meal plan rather than buying groceries may not work for everyone. Visitors and guests of Georgia State, along with faculty, staff and students are welcome to dine at the meal plan dining locations. Be aware of sales. A lot of stores will make sure that the customers are aware of sales as soon as they walk in the door. Although eating out is fun, it can add up.Be creative and cook things that are new to you that you already have in your household. Making a grocery list allows you to go into the grocery store and automatically know what you want.